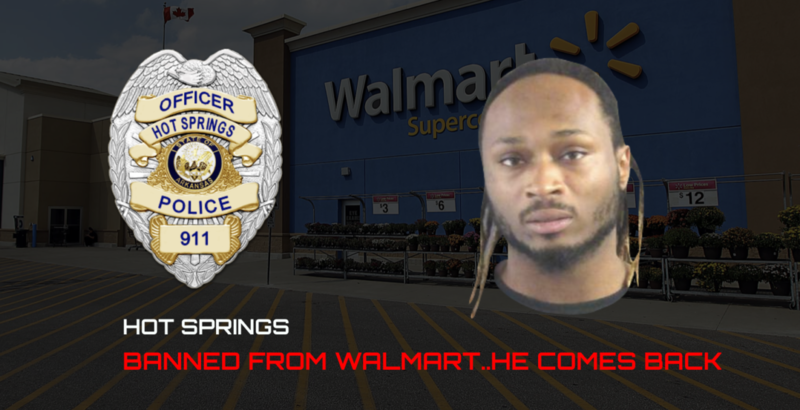 Hot Springs Police Officer McCauley was dispatched to WalMart on Albert Pike Road last month in reference to a trespasser in the store. 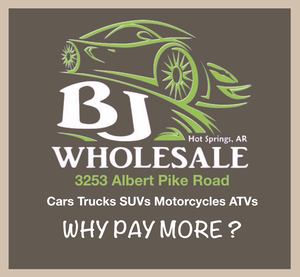 Damien Jamal Curtis, 23, of Hammond Street in Hot Springs – being charged with an entire truckload of stuff. Off. 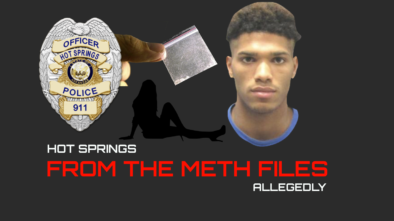 McCauley located and approached Damien Jamal Curtis, 23, of Hammond Street in Hot Springs, as he exited the store. She told Mr. Curtis that he had previously been banned from the store and she needed to speak with him. He allegedly refused to speak with her and tried to side step her. She took control of his arm, he resisted and broke free. She grabbed him and put him against the wall as other officers arrived to assist. He allegedly continued to resist, but was handcuffed. A Walmart Security Troop advised that Mr. Curtis had stolen a Roku Remote Device from a shelf and concealed it on his person, then passed all points of sale without paying. The Roku allegedly fell from his pocket during the struggle and it was recovered. 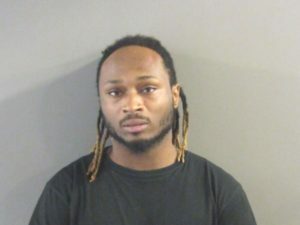 Mr. Curtis has previously been banned from all WalMart Property, all Garland County McDonald’s Property, Cash Savers Property and was out on bond for Burglary and Theft Of Property at the time of this incident. Mr. Curtis is charged with Resisting Arrest, Theft Of Property and Criminal Trespass with a bond amount totaling $2,250. His booking card shows that he is also being held on other charges of Theft Of Property x4, Residential Burglary, Felony Forgery, Hold For Hot Spring County and Hold For Clark County with a combined bond amount to the tune of around $30,000.